Forged steel newel posts: versatile and elegant for all types of staircases! Whether it is for a staircase in your house, apartment, or cottage, the newel post provides better stability to your railings and balusters. We offer you a wide selection of forged steel stair newel posts, available in many colors and finishes, all made in Canada. 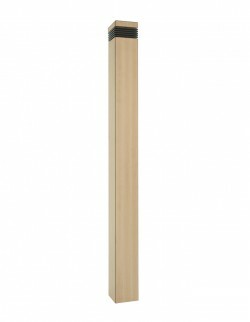 Placed at the base and at the top, your forged steel newel post offers you all the necessary support for your staircase. You can match your newel posts with matching stair balusters to create a multitude of styles: romantic, traditional, urban, contemporary and more. 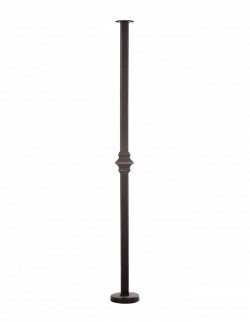 Manufacturer of steel starting posts since 1997, Prestige Metal offers you the opportunity to buy your newel posts online. You can also obtain them from our distributors and retailers throughout Quebec, Canada, and the United States. In addition, be assured that you can count on the full collaboration of our retailers and stores for the design and installation of your new newel posts.